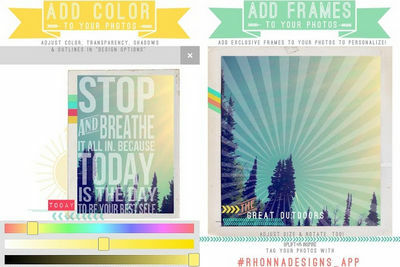 Use exclusive and unique frames, masks, designs, fonts & filters to create masterpieces out of your pictures with Rhonna Designs right on your Android phone or tablet. 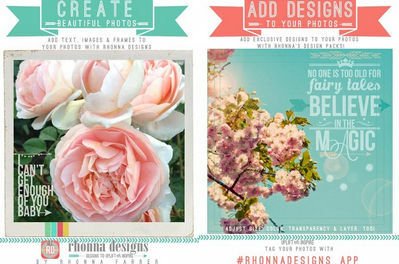 Adjust transparency, color, shadows, outlines, size & angles as you create with the text & design features. Add masks to any photo using the various shaped designs; even has the feature of allowing you to add multiple designs/fonts to the mask!